CalPack Foods is a manufacturing facility that specializes in the production of high quality food, juice, and beverages. Put simply, we’re here to keep the integrity of your product as you scale its production. Over the years we’ve worked clients of all sizes. We’ve helped young entrepreneurs with just a cooler full of bottles and we’ve partnered with nationwide brands. No matter the size of the client, we collaborate to bring the most nutritious and fresh foods to market. When you work with CalPack Foods, you’ll work in an environment of professionalism to conceptualize, strategize and produce superior products. Our facility is located on Western Avenue in the city of Torrance. Our plant is a third-party audited facility with the capability and capacity to produce a wide range of products. Over the years we’ve upgraded our facilities to expand its capabilites and are continuing to expand – please let us know if you have a need that isn’t listed. You can expand your business while keeping your recipe’s integrity – we can help. Some products created by CalPack Foods use High Pressure Processing by our partner HPPFS for food safety and shelf life extension. Every day, more and more companies are recognizing High pressure processing (HPP) as their optimum long-term, profitable and consumer-friendly food preservation solution. 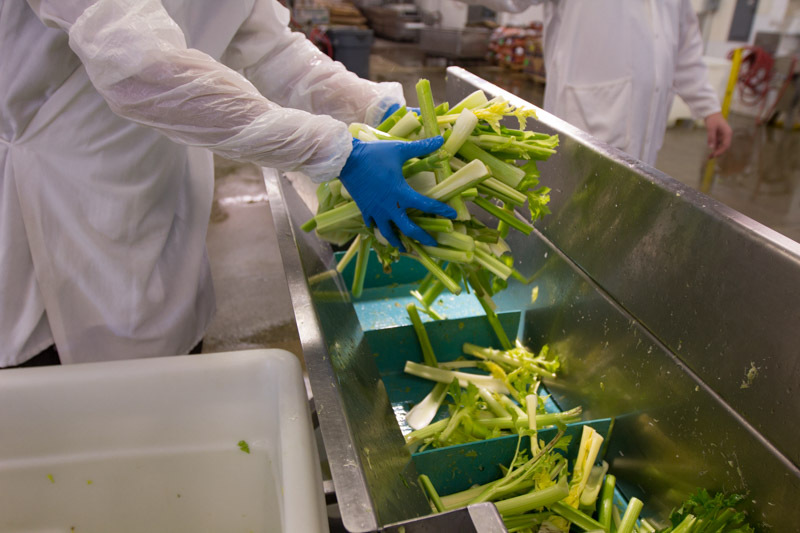 HPP maintains freshness and preserves natural flavors better than any other processing method. HPP provides food safety and makes extended shelf life possible without the use of heat, preservatives and additives by using pure cold water and up to 87,000 psi to inactivate pathogens like ecoli, salmonella and listeria.